Ericsson has joined the O-RAN Alliance, an industry-wide effort to drive the development of intelligent, open Radio Access Network (RAN) technologies ahead of the transition to 5G. RAN is the group of hardware and software technologies that handle the transmission of data from the device to the base station. Recent advances in the field have seen the more efficient use of spectrum and more reliable signals through the use of technologies such as Beamforming. O-RAN was formed at Mobile World Congress (MWC) Shanghai last year and was opened up to non-service providers in late 2018. 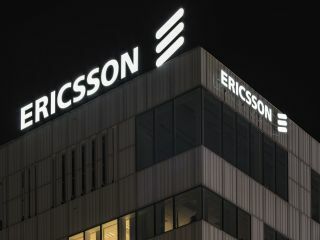 Ericsson’s involvement in the organisation will see it focus on the open-interworking between RAN and network orchestration and automation with a particular emphasis on AI-enabled closed loop automation – a process which will lower costs and improve quality of service. Another key area of interest is the creation of interoperable multivendor profiles for specified interfaces between various RAN functions. This will minimise the amount of work needed to get various technologies to work together and will speed up the deployment of 5G around the world. “Ericsson is a strong supporter of openness in the industry, and the benefits this has on global ecosystems and innovations,” declared Erik Ekudden, Ericsson CTO. The membership of O-RAN complements Ericsson’s existing standards work with 3GPP and OpenStack. The Swedish telecommunications equipment manufacturer is competing with Nokia, Huawei and others for a slice of the 5G market and has taken a particular interest in the US, where it has opened a number of 5G facilities.